What else can we do now except to hope for better things next season? 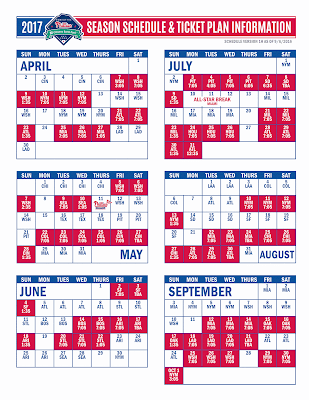 Well, nothing like getting you ready a little early, the Phillies released the 2017 preliminary schedule the other day and it's got a few interesting things to point out right off the bat. How about facing the Washington Nationals for 9 games in the first 5 weeks of the season for one thing. That is very peculiar and then you can look to the other division rival for the Phillies, the New York Mets. We play the Mets a total of 6 times in the first month. We'll be playing the Texas Rangers next season, and an old fan favorite, Cole Hamels. A home and home quick two-game series with Boston will be played at both Fenway and CBP on June 12-15th. We have 4 straight games in Chicago against the Cubs at Wrigley in 2017, will they be the World Champion Cubs? This series runs from May 1st - May 4th. Another 4-game series against the San Francisco Giants is scheduled for '17 as well, it is an even year this year, will they be the World Champs in 2016? This SF trip is from Aug 17- 20. Worst picks for road trips next year for the Phils... Arizona, Seattle, then to New York to play the Mets from June 23 to July 2nd. Washington Nats, then to Texas, and finally ending up in Pittsburgh from May 12 to May 21. These road trips have some odd routing that doesn't sound all that appealing. 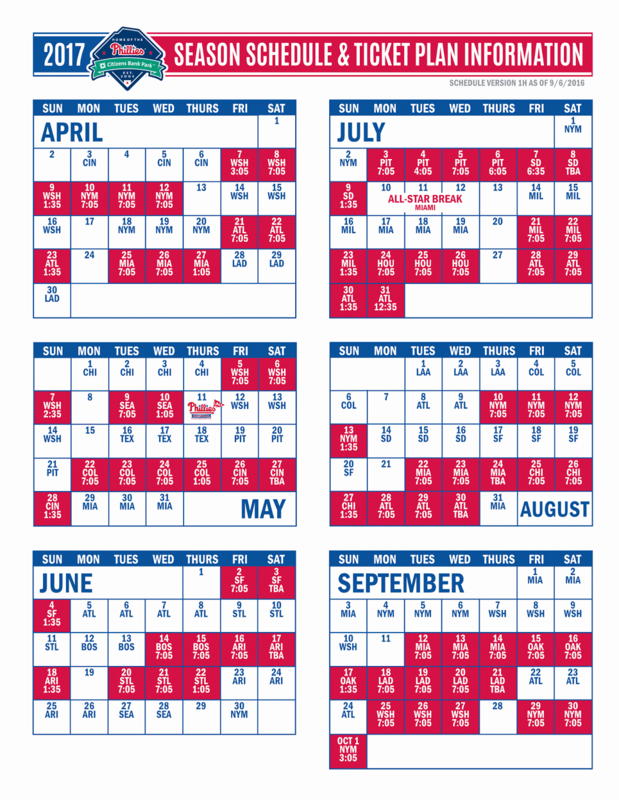 This was a first look at the schedule, looking forward to seeing some of the promotions that the Phils will have next year. Those promotions usually are announced a few weeks from now.